In hoop Buckle Block! 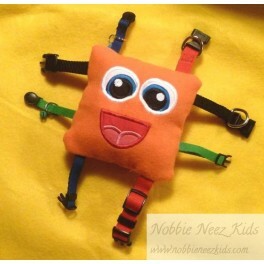 Teach your children "how to buckle" with this adorable learning toy! So much fun and can be made using different cat or dog collars from your local dollar store! You can also buy your strapping and hardware to make your own! Use a variety of fabrics to create your Buckle Block!